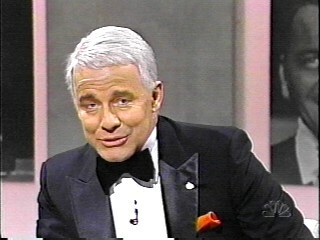 THE COMMITTEE ROOM: TCR on Television: An Interview with Mike Thomas, author of "You Might Remember Me: The Life and Times of Phil Hartman"
Life and Times of Phil Hartman. A 2015 Rolling Stone ranking of the nearly one-hundred-fifty Saturday Night Live cast members over the show's four decades on the air, put Hartman at a lofty number seven, behind only John Belushi, Eddie Murphy, Tina Fey, Mike Myers, Dan Ackroyd, and Bill Murray. Even more impressive is a Grantland reader's poll that placed Hartman second only to Will Ferrell as SNL's greatest of all time. Bryan Curtis in Grantland wrote -- "Hartman was so good at playing smarmy, air-quoting, golden-voiced sharpies...that it’s difficult to catalogue all the comic notes he left behind in the universe. You know when Stephen Colbert jogs across the stage and gives the audience a significant look? Or when Ron Burgundy exclaims, 'By the beard of Zeus!?' These aren’t quotations, or even conscious homages. But make no mistake. What you’re observing is Hartmanism — the art of being unctuous." 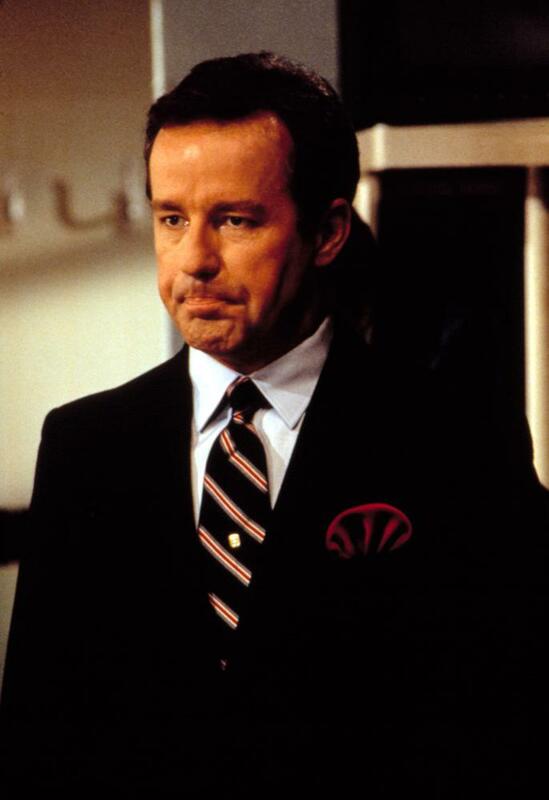 Phil Hartman (right) as Bill Clinton, Saturday Night Live. Sadly, what is often remembered first about Hartman is the shocking way he died. In May 1998, Hartman was shot to death by his wife, Brynn, while he slept at the couple's relatively modest Encino, California home. Hours later, a distraught Brynn took her own life. Pulling Hartman's often brilliant career out of the shadow of his horrific death was part of what prompted Thomas, a longtime entertainment writer for the Chicago Sun-Times, to write You Might Remember Me. Thomas' biggest motivation, however, was being a longtime Hartman fan. 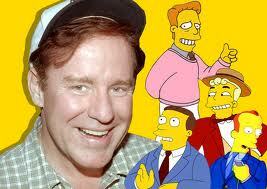 Thomas began watching Saturday Night Live regularly in 1986, the year that Hartman joined the cast. "Almost from the start, Phil was my guy," Thomas told TCR. "He never overplayed roles, did subtle impersonations rather than caricature-ish impressions, and nearly every sketch he was in succeeded on some level...He’s the most versatile cast member in the show’s history. He could hold any sketch together by dint of his talent and extreme commitment to character — no matter how minor that character was." Hartman was born in Brantford, Ontario in 1948, a middle child in a large Catholic family. By his teenage years, his family had settled in southern California. Young Phil quickly adapted to the local culture and developed lifelong loves of surfing, sailing, and pot smoking. A talented visual artist, Hartman had a successful career as a graphic designer before moving full time into comedy writing and performing. He spent years honing his skills at the Los Angeles improvisational comedy troupe the Groundlings. By the time he made it to the cast of SNL he was in his late thirties, a senior citizen by the standards of the youth oriented show. Other members of the SNL cast during Hartman's tenure include Dana Carvey, Jan Hooks, Chris Farley, Mike Myers, and Adam Sandler. In You Might Remember Me, Hartman's SNL castmate Jay Mohr explained to Thomas -- "Phil wasn't sittin' around with Farley and Tim Meadows and Sandler, making fart jokes and trying to curry favor with the writers. You had to write for Phil. If Phil was in your sketch, it had a much better chance of getting on the air because there really wasn't anything he couldn't do." After leaving SNL, Hartman worked hard on getting his own sketch comedy show on the air. When the proposed show didn't pan out, Hartman accepted the role of self-important broadcaster Bill McNeal on the new situation comedy News Radio, a dry-witted ensemble show that drew critical praise but was never a ratings blockbuster. As on SNL, Hartman was a calming influence on the sitcom's younger cast members. Hartman's News Radio co-star Vicki Lewis told Thomas -- "[Phil] seemed too smart and too logical to me, at times, to be an actor. And I think that's what made him particularly funny in the way that he was funny." The equanimity Hartman showed in the workplace didn't fully crossover into his personal life. In private, Hartman was an uncommunicative loner who drifted out of romantic relationships when the going became at all rocky. He was twice-divorced and childless when, in 1987, he married Brynn Omdahl. Tall, slender and blonde, Omdahl had worked as a model but aspired to a career as an actress or screenwriter. She also had a history of alcohol and drug abuse. Hartman and Omdahl had two children together. Thomas presents a nuanced portrait of Hartman and Omdahl's ultimately tragic marriage. The beautiful but troubled Omdahl, who a less insightful writer might simply dismiss as a train wreck, comes across as a three-dimensional person. "Achieving that took a considerable amount of reading and interviewing to understand her as a troubled human who did a horrible thing as opposed to merely a cold-blooded villain. It turns out she was actually a great friend and mother whose personal demons including anger management issues and a re-ignited battle with substance abuse, raged out of control," Thomas told TCR. The passage of time made many of Hartman's colleagues, friends, and family members more willing to open up to a reporter. "Phil’s death was, and remains, shocking and deeply saddening to those who knew him and many of those who didn’t," Thomas told TCR. "Right after it happened, amid the swirl of tabloid stories, emotions were running high and his inner circle was in lockdown/protective mode — necessarily so. ... I don’t believe that time heals all wounds — not completely, anyway — but in this case enough years had passed that people (to my great delight) were ready to talk." In regard to SNL generally, does Thomas, whose other writings include a history of Chicago's celebrated comedy troupe Second City, think the legendary NBC show still matters as much as it did back in the twentieth century? "The short answer is no," Thomas told TCR. "Thanks to cable and the Internet, there are countless other outlets these days for great comedy — parody, satire, social commentary — in an increasingly fragmented marketplace, Kind of a typical answer, I know, but it’s true. Naturally, then, SNL is no longer the comedic force or arbiter it once was. But that’s just one writer’s take. Lorne Michaels might disagree." What more would Hartman have accomplished had be lived longer? "I hope he would have landed bigger roles in movies. Better movies than the ones he starred in, most of which were duds," Thomas says. "And who knows? Maybe he would have gone the dramatic route. Instead of Bryan Cranston as the lead of Breaking Bad it might have been Phil. Bryan, by the way, is my first choice to play latter-day Phil in a biopic. Please let him know." Most certainly you have found yourself feeling tired, but still wanting to have a good time, which is why you should always look for a way to make things interesting. A great idea would be to rely on a オンラインカジノ where you can play エテリアルポーカー.